Automatically display notifications based on pre-defined conditions. Conditional Notifications let’s you setup automatic notifications when certain events occur to bring to your users a specific notification and build engagement with them on exact moment you want. 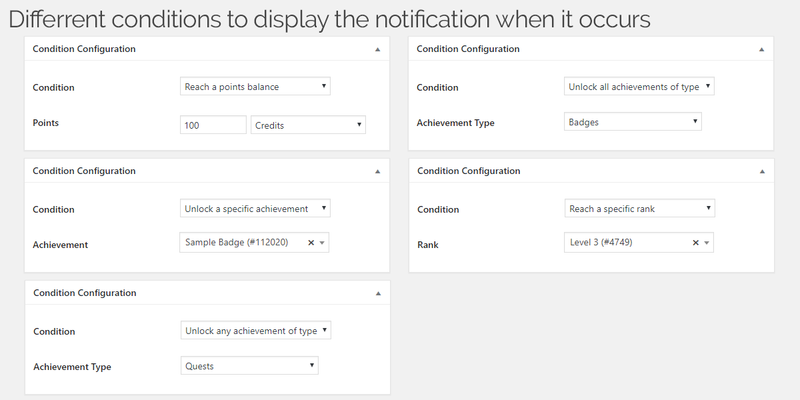 In just a few minutes, you will be able to build a personalized notification to being displayed on relevant events like reach a points balance, unlock an achievement or reach a rank among others. 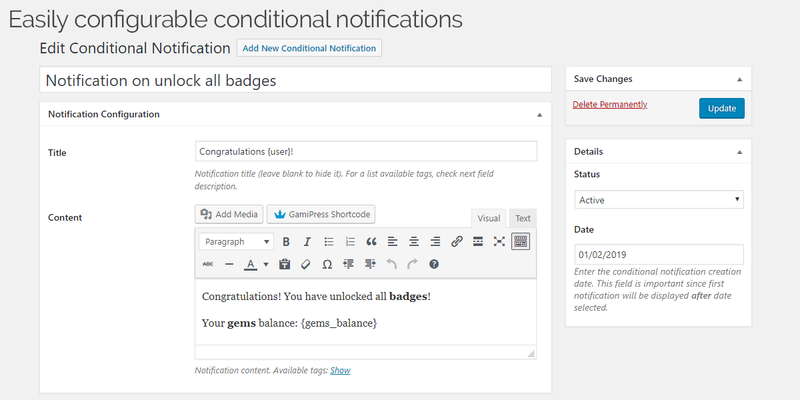 In addition, Conditional Notifications includes a huge list of tags to let you display relevant information to your users like their current points balance, last achievements earned and current rank of any type. Note: This add-on requires Notifications add-on in order to work. Display customizable notifications when a certain event occur. 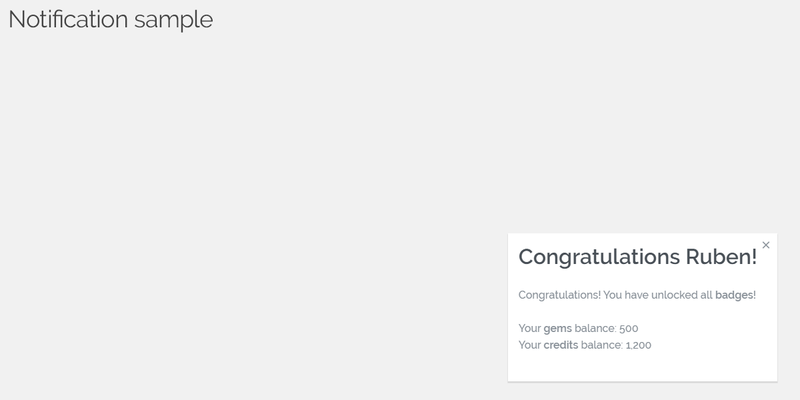 Set the condition you want: reach a points balance, unlock an achievement, unlock any achievement of type, unlock all achievements of type or reach a rank. 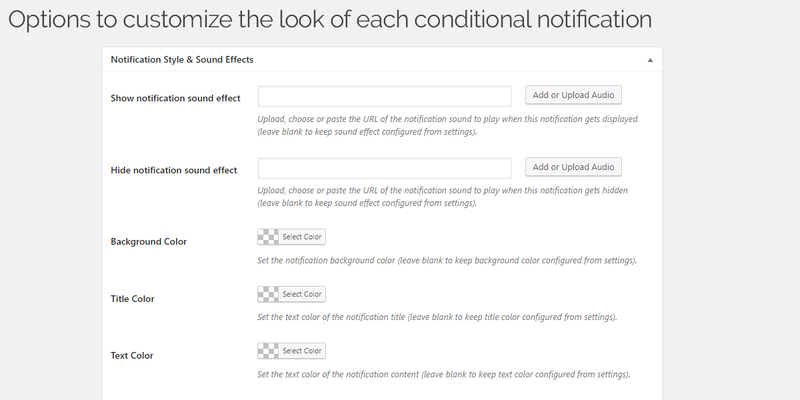 Options to customize the look and sound effects of each conditional notification. Tags per type to inform users about their current points balance, last achievements earned and current rank of any type.